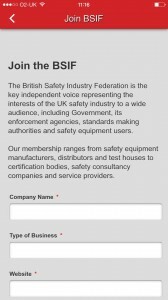 To increase communication capabilities, the British Safety Industry Federation (BSIF) has launched the BSIF iOS App, available to download now from the App store free of charge. 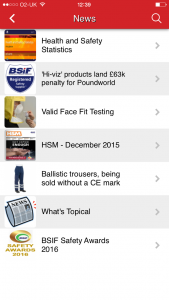 The App will keep subscribers up to date with breaking industry news, as well as providing the latest Federation updates and key information on events and exhibitions. 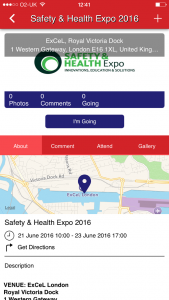 Subscribers are encouraged to send images to the ‘Safety Cam’ feature, highlighting safety concerns or celebrating product innovation and sharing moments at key industry events. 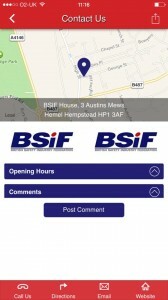 These images can be emailed directly to the BSIF offices. 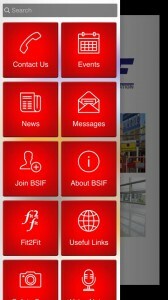 Similarly, the ‘Voice Notes’ section allows subscribers to record voice notes and email them to the BSIF. 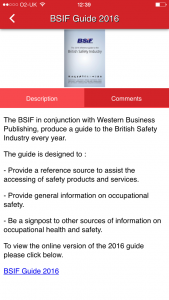 The ‘Safety Notes’ section of the App enables users to record information quickly whilst out and about,, ensuring the salient points are remembered and can be used at a later stage. All of these elements of the App have undergone careful planning to ensure the Federation is up to date with the latest industry activity as it happens. 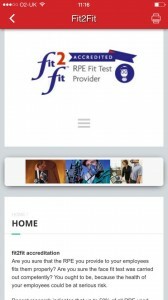 The App serves as a platform to update on BSIF schemes, including further information on Fit2Fit, reinforcing the need for competent Respiratory Protective Equipment (RPE) fit testing. 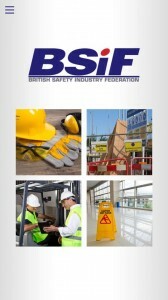 The renowned ‘BSIF Guide for the Safety Industry’ is also available to download through the App, providing subscribers with unrivalled industry insight, knowledge and information.